Cleopatra Records To Release Special Limited Edition 7-Inch Singles Box Set From The Undisputed King Of Punk Rock Iggy Pop! Los Angeles, CA – Iggy Pop fans rejoice! 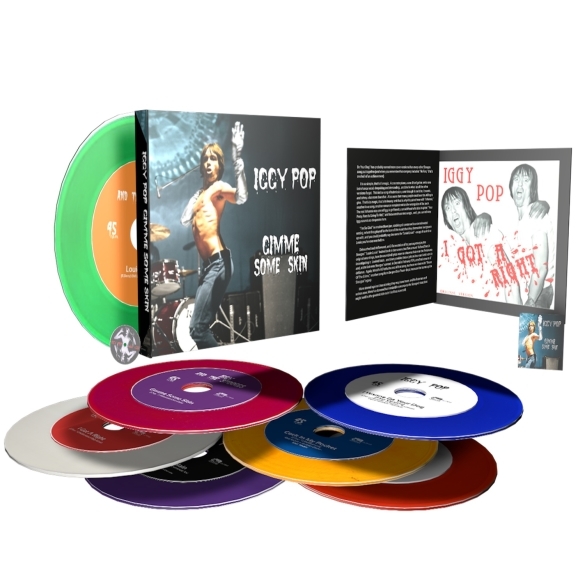 Cleopatra Records will be releasing a special limited edition 7-inch singles box set from the undisputed king of modern punk rock, Iggy Pop! The release includes 7 individual 45s featuring exclusive new tracks as well as classic recordings from 1972-73 with the Stooges – all packaged with a full-color booklet, detailed liner notes, a custom 7-inch vinyl adaptor, and collectible patch! Seven singles, fourteen sides. The Stooges in their prime, Iggy in his pomp. And all sufficiently sharp and shapely that, even if you’ve never heard the performers in your life, you’ll know that it couldn’t be anybody else. This entry was posted on Friday, May 23rd, 2014 at 00:00	and posted in Iggy Pop, Press Release. You can follow any responses to this entry through the RSS 2.0 feed.